Montreal's Arsenal Contemporary Gallery situated in the historical Griffintown neighbourhood of the city was a welcoming venue for the Phototerra team. 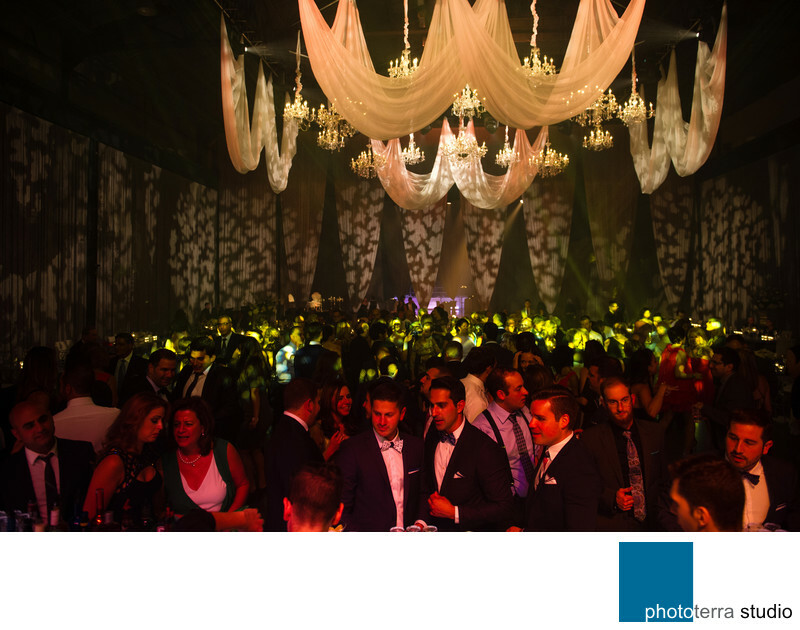 It reminded us of one of the wedding venues we photographed in Los Angeles that had amazing lighting setup. Here, the lighting potential inside the gallery was simply breathtaking. In this photograph by Michael Greenberg you can see how the lighting plays essential role in photography. The lighting evokes a certain ambiance while adding depth to the photo. It separates the frame in three sections from the reddish tones in the foreground to the digitally projected background allowing us to capture the mood of the room in its entirety.